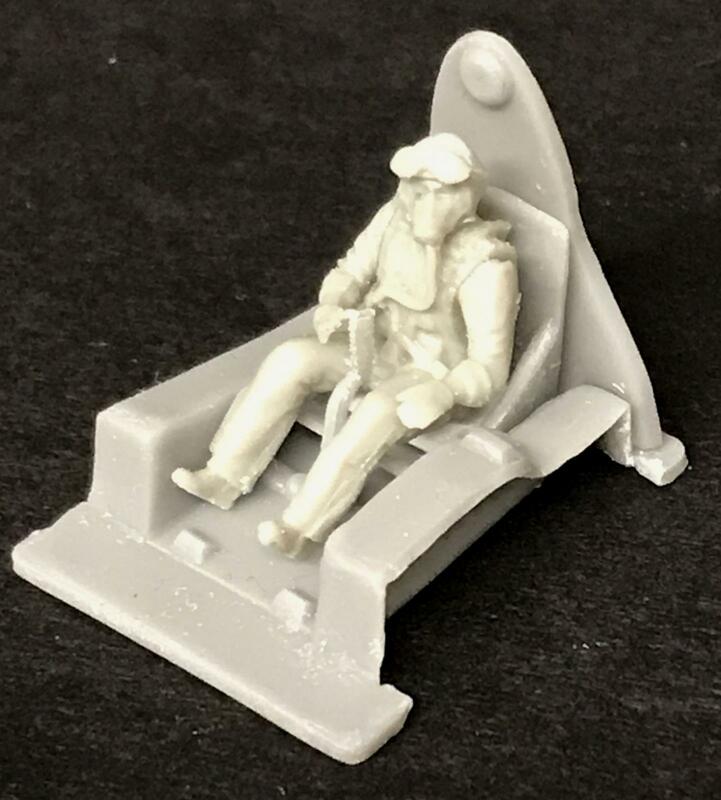 PJ Production is well known for its figures and this time has provided another fine example of military pilots for a specific era. 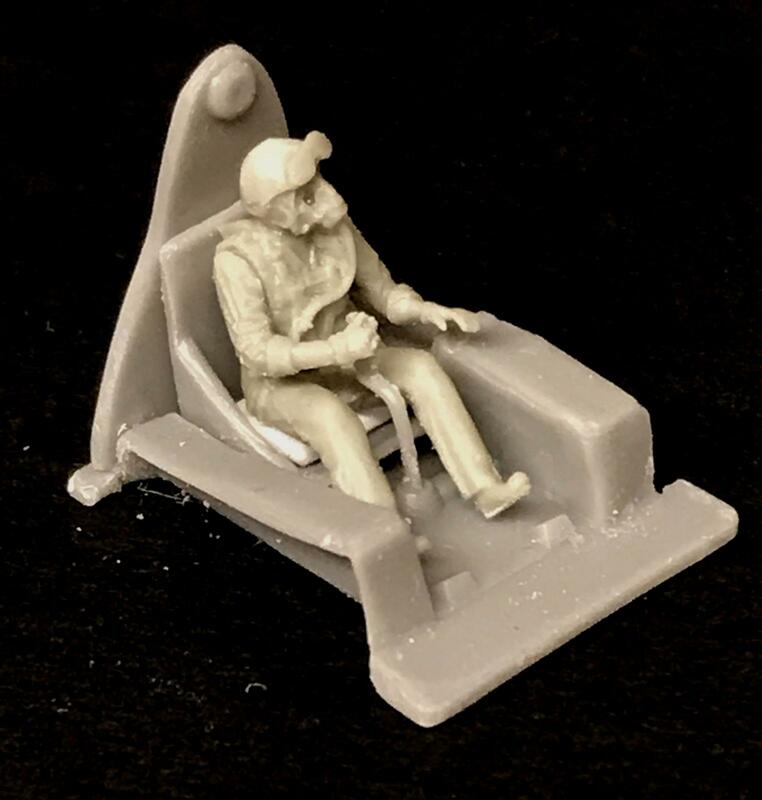 Most often, jet pilot figures from the 60's through the eighties are very common but 1950s era jet pilot figures are not very easy to find especially in 72 scale. This collection leads in filling this short span of helmet and clothing styles on pilot figures. 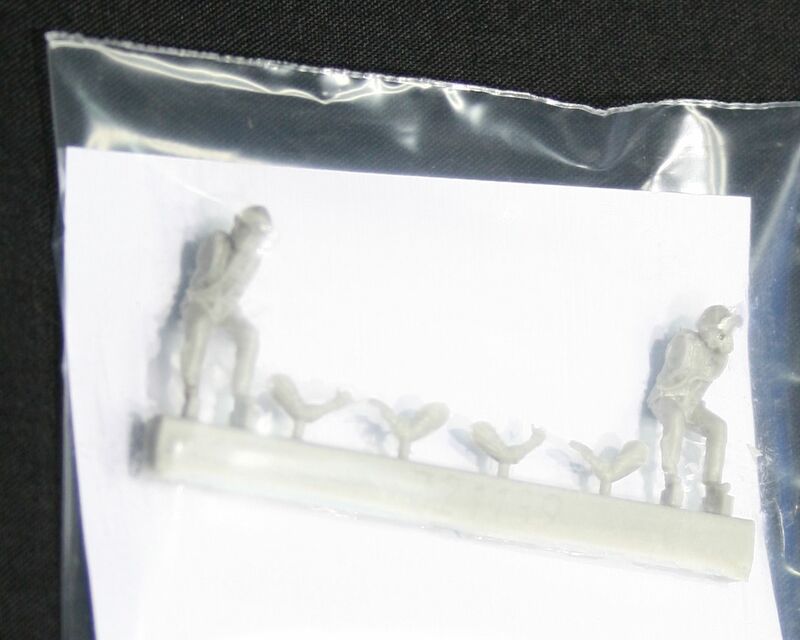 The product contains two figures of two different styles with a small amount of flash is on the figures which is simply brushed away while detail is nice and crisp. 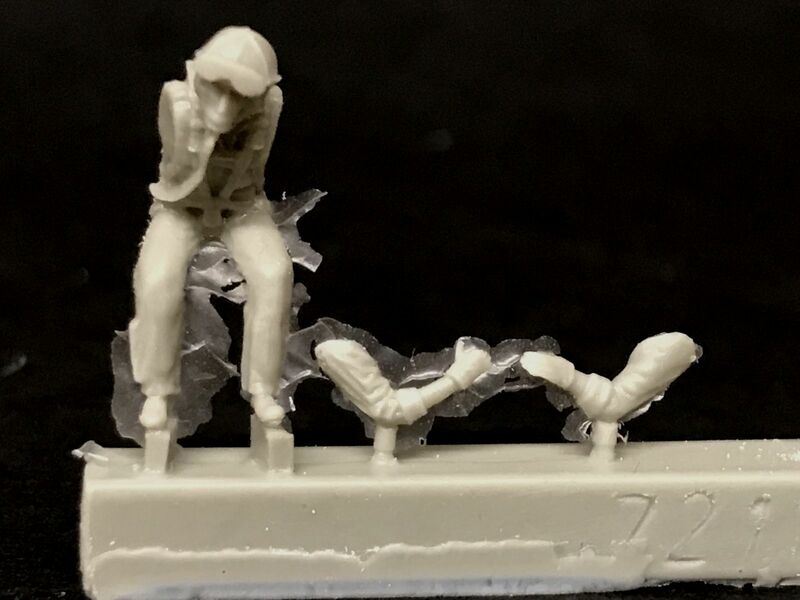 There was a small hole of the face that will need to be filled which appears to be a casting flaw. 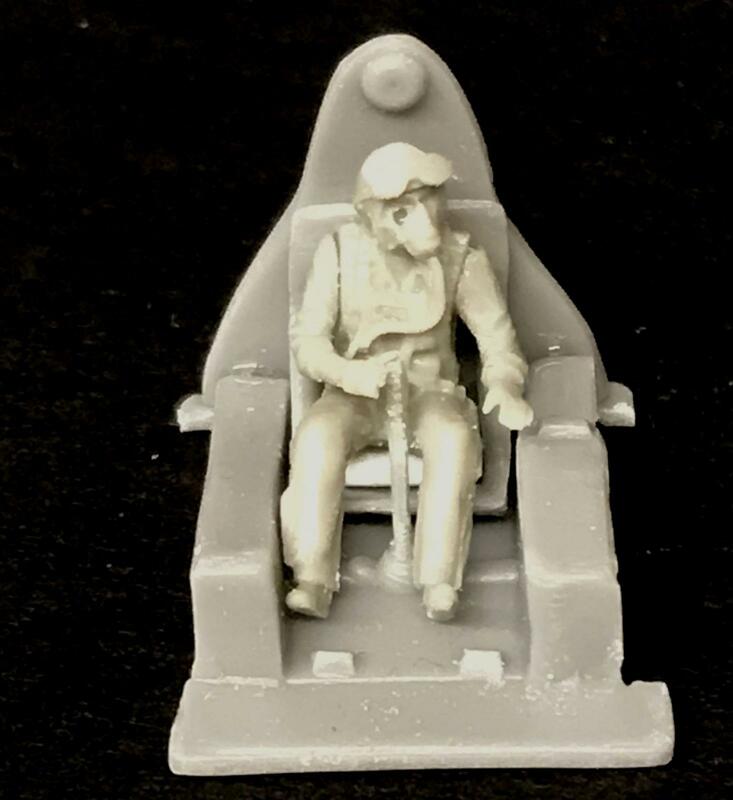 Both complete figures (less arms) are wearing helmets with the visor up and oxygen mask on. The two have slightly different head positions and the arms only allow for right hand on stick and left hand on a throttle(s). Test fit is in the 1/72 Siga Fj-1 Fury and the figure parts appear slightly under sized for this kit but Siga is a short run kit so that may be the issue. The arms do align very well with the stick and throttles in this test fit. Thanks to PJ Production for this very nice sample.